Yeah bro, good way to start off my blogging-2014! My man Jedidiah aka Stratiotis Dubstep asked me I wanted to join him at a party at the Hague, at Paard van Troje because he had to drop a set.. It was called HAAGEN BASZ. He was mixing skanky tunes for a long time already, so it was an sick set b2b Skitzo Dubz! I got a couple of the most dope moments in a video, check it out here. As I know he served in the military I know why he had chosen this name. It got me inspired instantly and I wanted to make another illustration like the previous one.. 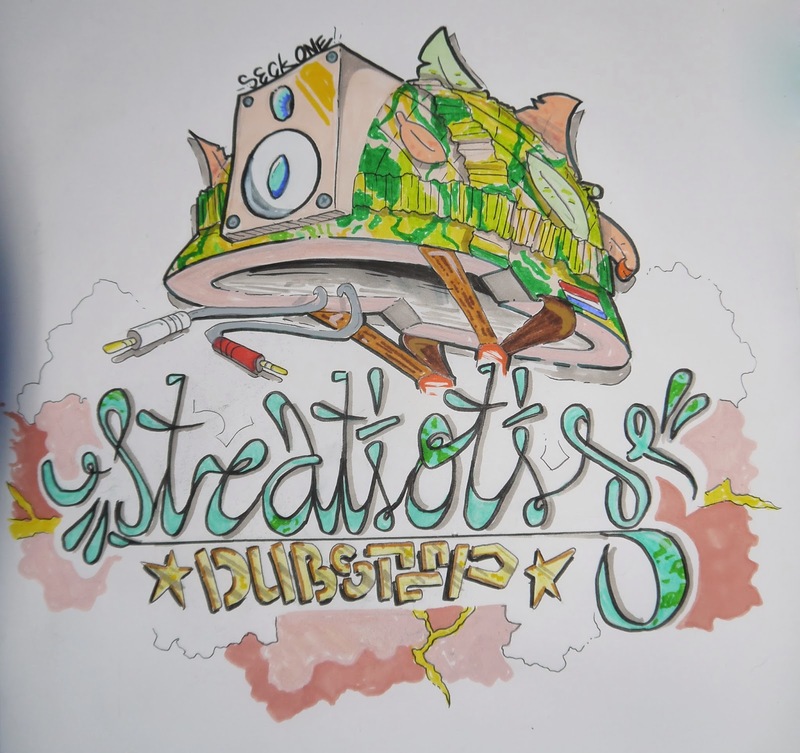 So I made a 'Stratiotis DUBSTEP' lettering with the sorta same style as the last one, with an dutch soldier helmet above, but it has a special touch.. U gotta like dat bass helmet yo! Woiii!